Langston Hughes published the 800-line poem “Ask Your Mama: 12 Moods for Jazz” in 1961. One of his most ambitious works, the poem touches on so many different things that it’s very hard to describe in a few sentences. In large part, it’s a meditation on the struggle for freedom in the U.S. and elsewhere in the early sixties. It references major figures in the American civil rights movement and the leaders of African nations that were gaining independence at the time. It draws heavily on the blues and other musical traditions like calypso, mambo, and modern jazz. One section looks back at the tribulations of Sojourner Truth. Other sections draw on Hughes’ own life experiences. At times it’s serious, at other points it’s humorous or enraged. 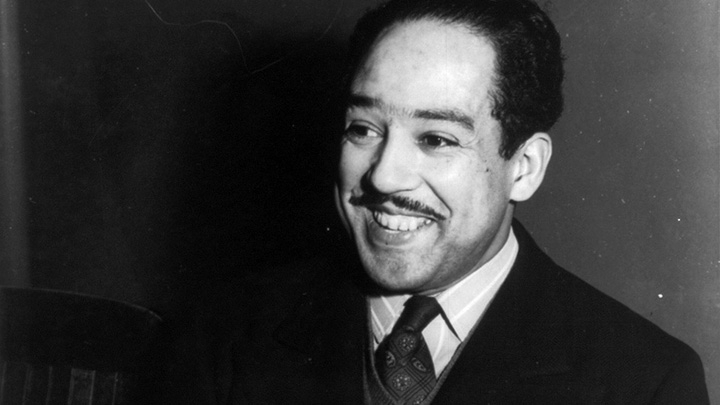 It’s been described as a “kaleidoscopic jazz poem” and with all the music and history and life that it reflects, it’s a fascinating document of the black experience as Langston Hughes interpreted it. Tuesday night (2/21) at 8:00 p.m. at VCU’s Singleton Center, trumpeter, composer and vocalist Ron McCurdy will recite the entire 12 part poem “Ask Your Mama” with a live jazz quartet performing his original musical score. McCurdy has also created a visual component to his performance with a slide show featuring images of the musicians and historical figures that are referenced in the work. In this segment, you’ll hear Ron McCurdy perform the first “mood” or section from “Ask Your Mama.” Afterwards, he provides some deeper background for the work and how he interprets it. Ron McCurdy is the musical director of the Langston Hughes Project. Tuesday night’s performance if free to the public. You can learn more about the event here. You can purchase a recording of his Ron McCurdy’s quartet performing “Ask Your Mama” here.